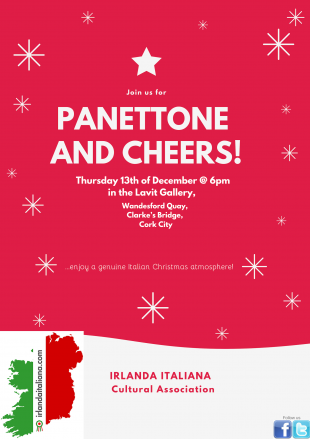 To highlight the important and vibrant contribution that Irlanda Italiana has had in promoting Italian Culture in Cork since 2011, we would be delighted to have our members and friends with us on Thursday 13th of December from 6pm until 8pm in this lovely venue, the Lavit Gallery. 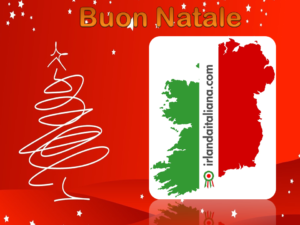 While exchanging Christmas wishes and enjoying Panettone, Christmas treats and warm drinks, we will try to recreate a genuine Italian festive atmosphere as we listen to Liam McCarthy’s enchanting voice. 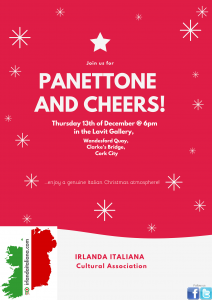 This classically trained, Cork born singer, will sing traditional Christmas carols for us in a variety of languages. We would like to thank you all for the support that you have shown us during this past year and we look forward to seeing you for what promises to be a lovely evening! The Lavit Gallery is home to a wide range of paintings, sculptures, ceramics, glass, and wood craft. 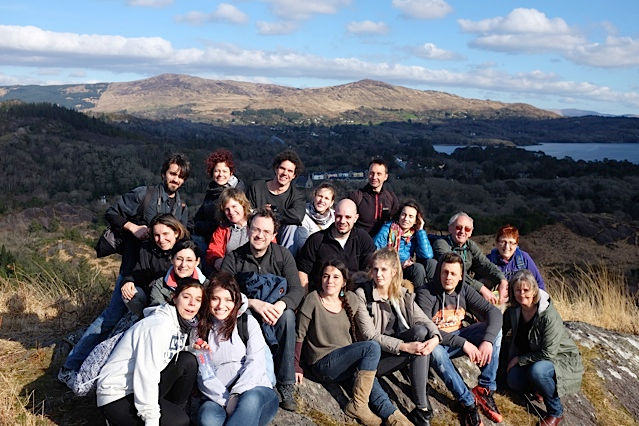 It is a non-profit organisation which is dedicated to promoting the work of local and national artists. Donations constitute a major element of our funding. By supporting The Lavit Gallery, you are helping to ensure that this long established venue is enabled to continue to provide exhibition space for established and emerging artists. You will be supporting the arts in Cork, playing no small part in contributing to the city’s vibrant arts and cultural scene.